Why is Lake Coeur d'Alene Movers / Spokane County Movers a Top Candidate for Best Spokane Moving Company? Top Rated. 5-Stars. Serving Spokane, WA With Professional Moving. 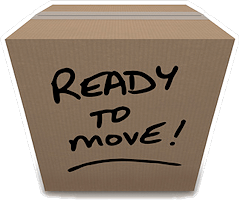 Spokane County Movers and Lake Coeur d'Alene Movers. Call Today! Call or text us at (509) 960-6405 for a free quote on Spokane County moving, local, long distance, and interstate across the lower 48. We have opened another office, this one in Spokane, operating as the best Spokane Movers. More to come in 2019. Any move involves many steps and changes in everyday life. Picking up and moving all your household possessions to a new place is exciting, stressful and involves taking a realistic risk, after all, these are your household possessions. Hiring the right long distance or interstate mover is critical to success and certain criteria need to be considered. It used to be that the paper phone book was the first place to go when it was moving time. Reading Yellow Pages ads, telephone tag and making appointments only made it more stressful. Today the internet places more information at your fingertips than ever before. Savvy searchers can read reviews, verify information about licenses, any lawsuits, violations of regulations and much more than ever before. Service-oriented movers make all this available to potential customers and the online review systems put the most suitable companies up front. Reviews really count and five-star reviews are the best. Online systems use algorithms to weed out fake reviews so, while not perfect, these are very good indicators of quality and success. When you have matched up a mover to your needs, then it's time to contact them and ask questions, get a written estimate and you should be ready to start. Every home is an individual and each move is a custom move. Not all movers are created equal, and ethical movers will not take a job they cannot do right. Matching your moving situation to the right mover is an important selection criterion. Does the mover regularly do business in the new location? Do they have the experienced, vetted staff to move your furniture, business equipment, antiques, and art? If not, do they have access to a network of experts who can do these things? Having a network of on-site helpers to pack, organize, clean and do other services enhances the company's ability to provide above and beyond customer service. First impressions make a difference. The movers' representative should be neat, businesslike and informative. This sets the pace for continuing the job. If your gut feeling" is negative, you should think twice about trusting your personal possessions to that company. How Much Experience Does a Moving Company Bring to the Table? Are They Known and Respected Locally? Everyone needs to get started, but do you really want to hand your furnishings over to a "here today-gone tomorrow" business? If the business has a good track record so far, it's up to you, but it's always wise to go with local, well known and successful mover with an excellent track record. 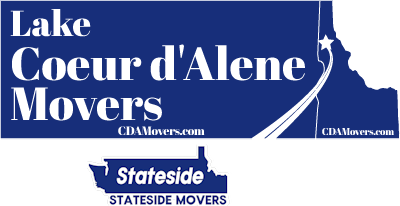 At Lake Coeur d'Alene Movers / Stateside Movers LLC we are a new company in early 2018 but our staff brings to the table decades of experience moving locally and nationally. On the business side, and where the dispatching and pricing takes place, management brings to the table several years of experience on the business marketing and admin for two long time Seattle moving companies. How is the Mover Rated Online? After you've read over our ratings in Google, looked at how many we have compared to companies that have been in this area for several years, you'll see our customer service is a top priority at Lake Coeur d'Alene Movers. Isn't that the kind of company you want to do business with? We hope so! We have worked hard for those five star reviews and hope you are our next. 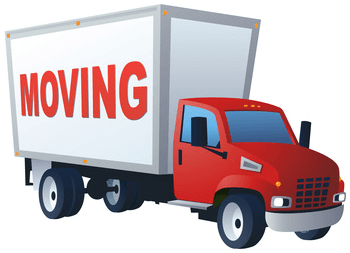 Call or text us at (509) 960-6405 for a free quote on Spokane moving, locally, long distance, and interstate across the lower 48. We'll put together a move for your budget!